One factor that truly separates Atlantic Millwork & Cabinetry from the competitors is our customer service. We put our customers first, so you have the best experience with us possible. We have a commitment to SERVICE. S – stands for super support and service even after the sale. E – is for exceeding expectations for service and customer support. R – represents repairing, restoring, and resolving any issues. V – is for valued vanities and other manufactured items available for purchase in our showroom. I – indicates industry standards and indoor interior aesthetics. C – corresponds to classy custom cabinets and superior customer care compared to our competitors. E – is for excellent engineering that makes our products excel. 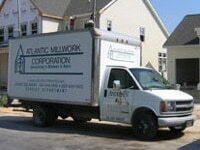 Atlantic Millwork & Cabinetry maintains factory certified field representatives to back up SERVICE motto. When you buy a product from Atlantic Millwork & Cabinetry, we will ensure that we can provide services for those products. Whenever your product needs repairs, maintenance or replacement, we can send a factory certified field representative to your home or office to fix the problem or recommend a further solution. We will not leave you searching for a “repairman near me,” we will ensure that either our field representative can fix the problem, recommend a contractor that we trust to fix the problem or we will assist you with finding a replacement product. Of course, if you need a replacement, we will be happy to provide installation services for you. You can trust our timely, dependable and experienced technicians, certified field representatives and trusted contractors to treat you, your home and your product with the utmost care and respect. We always put the customer first. If you are in need of product services such as repairs, maintenance or replacements, give us a call at (302)644-1405 today or come visit us at our showroom in Lewes, DE in Nassau Commons. One of our sales representatives will be happy to discuss your options with you and provide a free quote for any services you will need. While you are in our showroom, consider asking one of our sales representatives how we can help you with your next project too!